I always cringe a little bit when someone says “Happy Memorial Day” to me. Today isn’t and shouldn’t be a “happy” day. It’s a solemn and somewhat sad day because we are remembering people who died–who gave everything, including their lives, so we could be and remain free. @DebbieSchlussel It drives me crazy when someone says "Happy" #MemorialDay ! It should be a solemn and reflective day honoring our fallen heroes. @AnimalCommandoR Me, too. I usually don't know what to say back b/c at least they remember, but it's not appropriate to say "Happy Memorial Day." Today is not a celebration. It’s a remembrance. We are not celebrating those who are still alive or who managed to survive the horrible ravages of war but are still with us minus limbs and appendages or those who continue to serve. We appreciate everything they did. But we remember them on Veterans Day. Today is about the dead. 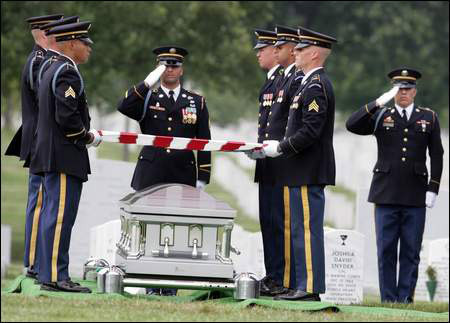 It’s about those who perished while serving, generally while at war. It’s about people who usually died horrible deaths from IEDs or gunshots. Many of them didn’t die instantly. They writhed in pain and agony and torture. And they did this because they served and were ordered to go, and they did so without question. And they did it in the name of protecting our country and our way of life. Our right to obsess with Kardashians and Real Housewives and YouTube stars uttering nonsense. They did it for the right of men to wear male rompers . . . er “romp-hims.” And they also did it for the noble things–for our right to speak out against injustice, against the non-stop attacks on police, against the non-stop assault on the American way of life by the regressive “progressive” left, our right to vote and get rid of Hillary Clinton from the political stage, our right to throw off the bonds of ObamaCare and so on. 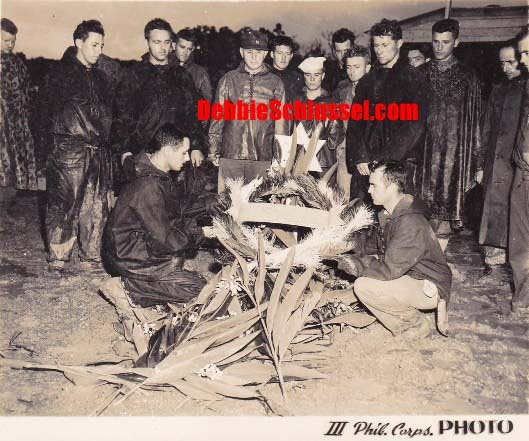 Above, I’ve posted a photo of a group of U.S. Marines gathered on Peleliu island on at the grave of their fellow Marine buddy, a Jewish soldier killed in action while fighting in World War II in the Battle of Peleliu. Peleliu was one of the islands of Palau in the western Pacific. The battle, which began on September 15, 1944, cost many American lives, as the U.S. fought the Japanese for control of the island. According to History.com, the “attack on Peleliu resulted in a higher death toll than any other amphibious assault in U.S. military history.” This Jewish Marine was one of those lives that were lost. He and the over 1.1 million lives lost in service to our country during the course of our military history–they are what today is all about. They are not around to hear our thanks. 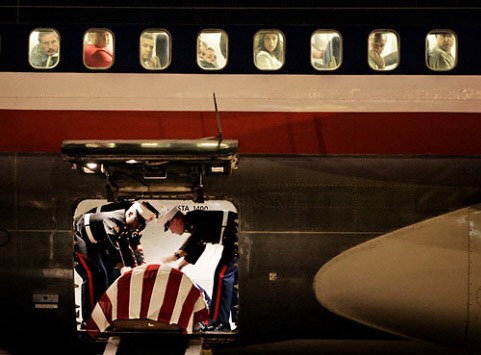 And you can see the sadness and sorrow we should all feel today, on the faces of those Marines mourning his death. Semper Fi. All of their deaths were the result of hostilities which President Bush created by forcing our troops to go there and take out a brutal Sunni Muslim dictator who hated us and replace him with “democratically elected” brutal Shi’ite Muslims who hate us. Same difference. Except that we lost thousands of Americans in that process. And tens of thousands more were seriously wounded as a result. We should remember those who died for this unnecessary transfer of power between Muslims bent on our destruction and ask why we are still there, especially if we can drop “the mother of all bombs” on some of ISIS without setting foot on the ground. Let’s pray that those who are still there come home soon, so that we are not mourning more of them on this day, next year. We were told our men went and died there so that we would not have to face them on our shores. But the Muslims with their extremist views, philosophies, and barbaric practices are here on our shores. The barbarians have long been inside the gates and spreading like cancer. And so it is pointless for us to lose our men and women over there to help prop one set of Muslims over the other, over there. As I’ve said repeatedly on this site, let them kill each other, and allah will sort it out. Five years ago on this site, I posted a letter to the editor published in USA Today. The writer was a retired soldier who knew his history and had a keen respect for this day–a day that has become about an extra day off, hot dogs and hamburgers, and mattress sales. (It’s ironic that a day about men standing up for freedom and paying the ultimate price has become about the accoutrement for lying down.) I’ve published the letter on this site many times, but it bears repeating, yet again. Memorial Day will soon be here. It is the most important day of patriotic observance. Before it was a day of solemn recognition of those who sacrificed their lives for our freedom, today it has lost its true meaning. People have become selfish, forgetting to give up a little time to honor those men and women who died for the freedoms we have. This became more evident when Congress passed an act that changed Memorial Day from May 30 to the last Monday in May. It became a three-day weekend, anticipated for family outings, picnics, the start of vacation season and, oh yes, the shopping. 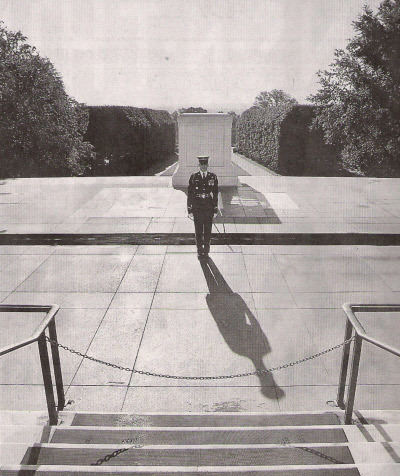 There was a time when stores were closed and entire towns gathered to honor the war dead, truly paying their respects. Those times are gone, but not for everyone. When you are having a picnic or you are on vacation, think of the men and women who have died for the freedom we enjoy, and also remember those men and women now serving, keeping us safe. God Bless America, and God keep those serving, safe. Robert A. DeMitry; Sergeant, U.S. Army retired; Elk Creek, Mo. Amen, Sgt. DeMitry. You get it. I also posted these other letters that appeared with that of Sgt. DeMitry. And they are as touching today as they were to me when I first read them five years ago. I will mark this Memorial Day by remembering Larry Allen, a fallen Marine from Decatur, Ga.
On June 18, 1970, somewhere in Vietnam, our squad ran into an ambush and was surrounded. We were taking heavy fire from the enemy we could not see. We were advancing when Larry stepped directly in front of me and one other Marine, taking a bullet wound in the lower stomach, meant for us. As he lay dying before us, I will never forget the helplessness I felt. The firefight was so intense that our choppers could not get in to help Larry and the other wounded. That day, we lost a wonderful 18-year-old Marine who not long before was running high school track in Georgia. I salute you, Larry. Thanks for giving two of us our lives. Semper fi, my friend. Thank you, Larry Allen, for your service and sacrifice to America. Rest In Peace. And thank you, Terry Franks, for sharing your remembrance of him with us. Semper Fi. And even though the following letter is about those who lived–and, again, their day is Veterans Day–I salute the fact that this man remembered what today is all about. Five of us graduated from high school together as World War II began. We felt it our patriotic duty to enlist in the service of our country. We remained friends over the years. Now at age 90, I am the sole survivor of the original five, so Memorial Day is a personal day of remembrance for me as an American serviceman and patriot. Mr. Ketner, who served as a B-17 pilot with the 303rd Bombardment Group of the 8th Air Force based at Molesworth, England, died in 2013, just over a year after he wrote this. Now he is with his four high school buddies who fought the Nazis so we could be free. 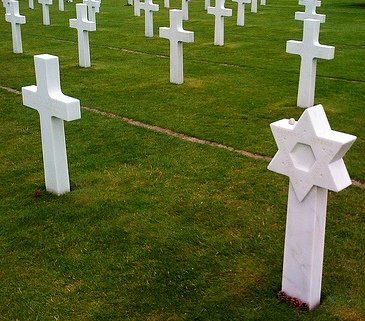 But, today, remember those tens of thousands of Americans who fought the Nazis and did not live to tell about it. Today is their day. And ours to remember them. Papa goes golfing/fishing & Mama goes shopping…and we the kids…we go smoke grass. Isn’t that the American “dream”? I have become somewhat skeptical, as well, of many of the local Memorial Day parades and observances. Taken in isolation, they are fine, but so many of them are organized by local politicians who endanger us by promoting sanctuary cities, open illegal immigration, open doors to ‘migrants’, persecution of ‘Islamophobia’, reckless social spending, affirmative action, etc., etc. The ‘patriotism is a mask to fool voters into thinking that these hack politicians, both Republican and Democratic, have the same values that we do. Weird when I hear people say, “Happy Memorial Day!” and annoying when they confuse the premise with Veteran’s Day. My Uncle was one of the 26,000 causalities at Iwo Jima.He was a marine and according to Military.com 1/3 of all WWII marine casualties occurred there.I never got to meet him as he was killed before I was born.All I know about him are the stories my late father told me about him.I have a few pictures of him a couple in his uniform.Yet I feel a strong connection to him and never want people to forget that he made the ultimate sacrifice for this country just as countless others have.He fought for this country because he loved this country.My uncle has made me a better person because I saw how selfless he was.He never got to marry,raise a family or experience all the simple things in life that most of us take for granted.His is one of many similar stories.I think about him every day and each day is Memorial Day to me.You and all the other courageous souls will never be forgotten.God Bless America. It was heartening and uplifting to see the Memorial Day greeting from Khizer Khan, the soft-spoken Gold Star Father, representing CAIR. It reminds us of the need to celebrate our diversity on occasions such as Memorial Day. Thank you Debbie. It brings tears to my eyes. I agree, who made it the mini-Fourth of July anyway?! We had people blowing off fireworks over the weekend. 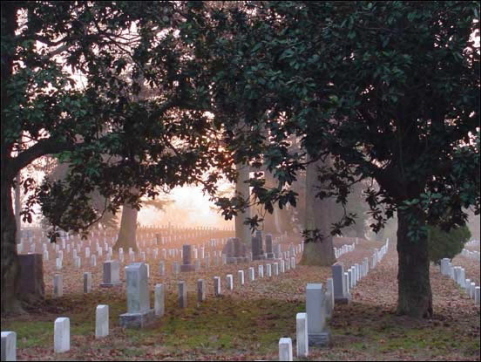 My father, a WW II Veteran, passed away Memorial Day (night) in 2001. Memorial Day’s true meaning really hit home after that. I was part of our Fire Department’s Honor Guard, who marched in the Memorial Day Parade and performed a Memorial Flag Folding Ceremony in the same cemetery where my father, and now mother, were laid to rest. I have since retired but Memorial Day brings back memories which will last for the rest of my life. No grilling for me! 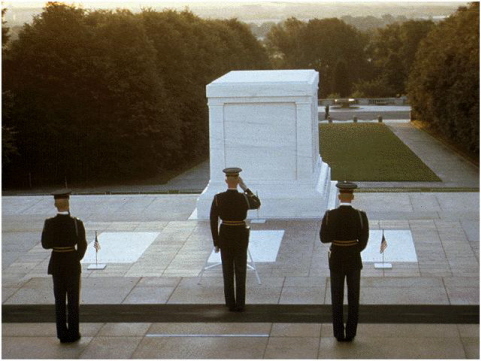 These are men who gave up the pleasure of life in order to serve their country. They did not shirk their duty, but paid the ultimate price. There are many who now belittle or actually despise their sacrifices, but I am not one of them.